You may have encountered an annoying issue that there is no WiFi on your Windows laptop. That means your laptop cannot connect to your WiFi network. And the network icon on the taskbar shows that you are disconnected from any WiFi network. If you are being troubled by this problem, you can try the methods below one by one to troubleshoot this no WiFi on laptop issue. Sometimes the no WiFi problem results from some tiny errors in your laptop, and a reboot of your computer can simply fix them. You can try restarting your computer and see if the problem resolves. It is possible that the no WiFi issue on your laptop is caused by your WiFi network. If there is any problem in your network, power cycling your router is always a method worth trying. It is usually an effective solution to problems of this kind. a) Follow the instruction of your router to completely switch it off. b) Unplug the power cable from your router and leave it for a couple of minutes. c) Plug the power cable back and power on your router. Check and see if your laptop can connect to your WiFi network at this time. There is a built-in network troubleshooter on your system. You can run this tool when there is any network issue on your laptop. a) Right click on your network icon on the taskbar, and then select Troubleshoot problems. b) Wait for the completion of detection, and then follow the on-screen instruction to troubleshoot any problem shown in the result. 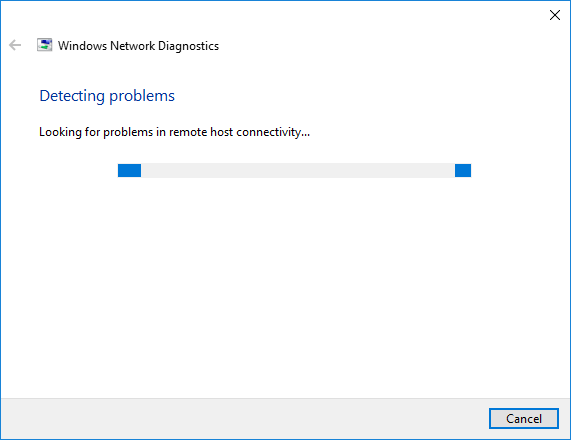 In many cases, the WiFi network problem on the computer results from issues on the network adapter driver. You can update the driver to fix those problems. There are some ways to find and install the latest and credible drivers for your computer, but they are a little tricky or time-consuming. If you are a computer novice or you want to save your time for something else, we recommend you should use Driver Easy. 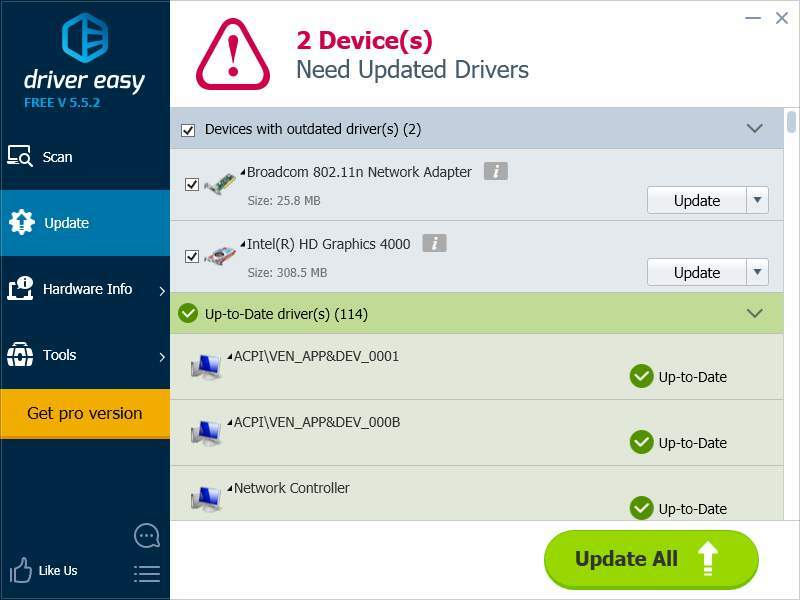 Driver Easy can quickly detect the outdated drivers, and find the latest credible drivers suitable for your operating system. You don’t have to worry about causing any trouble. And if you use its Pro version, you can enjoy its more automatic update process and higher download speed. a) Connect your laptop to a wired network. (If you can’t, check the step d below.) Download and install Driver Easy. b) Open the program and hit Scan Now. Problem drivers on your computer will be detected in a few seconds. c) Click on the Update button next to your wireless network adapter driver. 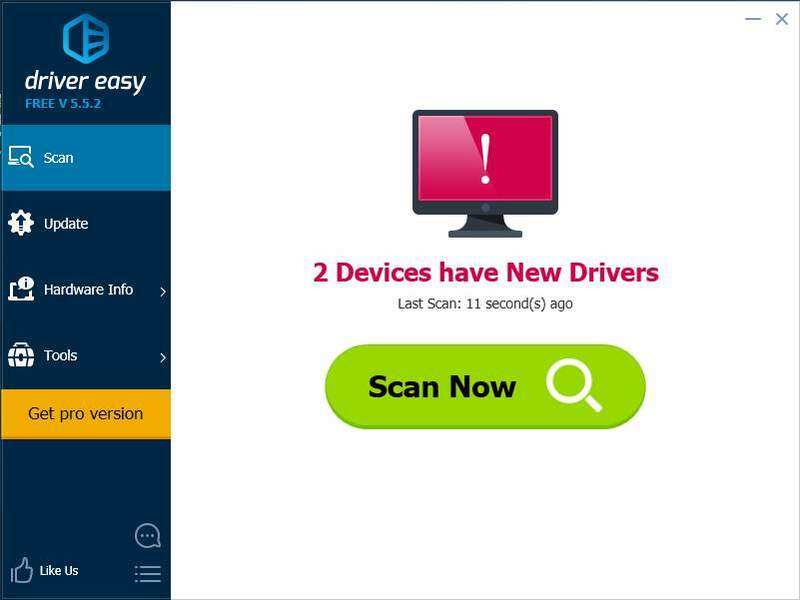 Driver Easy will download the latest drivers for you. Or you can hit the Update All button at the bottom right to update all your drivers automatically (this requires the Pro version). 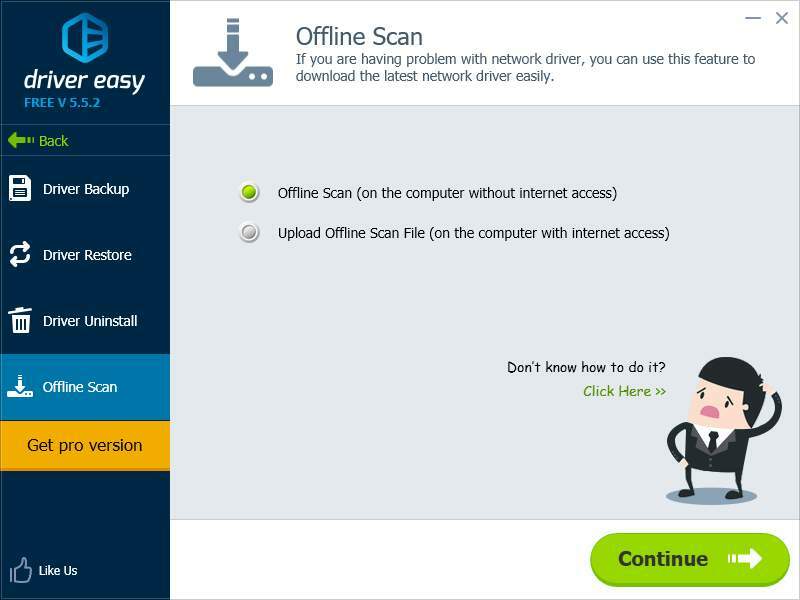 d) You can also use the Offline Scan feature of Driver Easy with another computer to update your network adapter driver. Driver Easy will detect the model of your network adapter and save it as a special file. You can use the file to download the driver on another computer with Driver Easy installed. 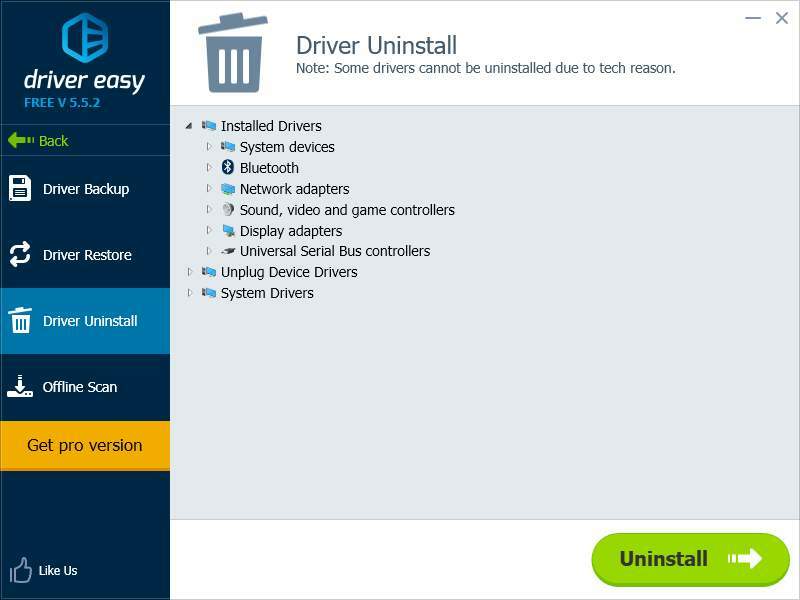 e) In addition, the Driver Uninstall feature of Driver Easy can be a solution to your problem. You can try uninstalling your network adapter driver and then using Driver Easy to reinstall it. Usually this would fix the hardware problem caused by driver. If you have tried all the methods above and still cannot solve your no WiFi problem on your laptop, you may need to consider it as a hardware issue. There may be something wrong with your network adapter or your router. In this case you can contact your hardware manufacturers to see if they can give any suggestion.